Boston Bound: Connecting to Convert! What If Media Group will be attending Connect to Convert Oct 3-5th in Boston, MA so make sure to find us and say hello. 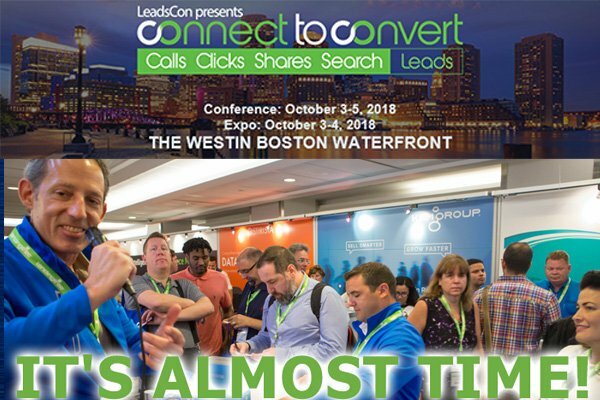 LeadsCon’s Connect to Convert is the lead industry’s only educational conference dedicated entirely to the most effective and emerging sectors of the lead generation industry: Calls, Clicks, Search and Shares. With dedicated b-to-c and b-to-b content designed around each section of the sales cycle, LeadsCon’s Connect to Convert will provide critical intelligence you need to succeed. Danny Regenstein, President, Brian Schwartz, COO, Andrew Klayman, VP of Business Development, and Greg Elbaum, Director of Business Development, will be representing team What If. We’re around to network and conduct business with the top executives and companies in vertical media and direct-response marketing. Don’t miss your chance to catch up with our team members, find new potential business opportunities with us, and grow your professional network. Newer PostWhat If Holdings Selected to Crain’s 2018 Fast 50 List! Older PostWhat If Wants YOU! Interning with Us.